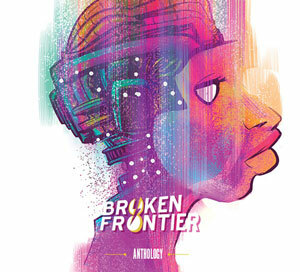 A long overdue compilation of work from this vital figure in Canadian indie comics. 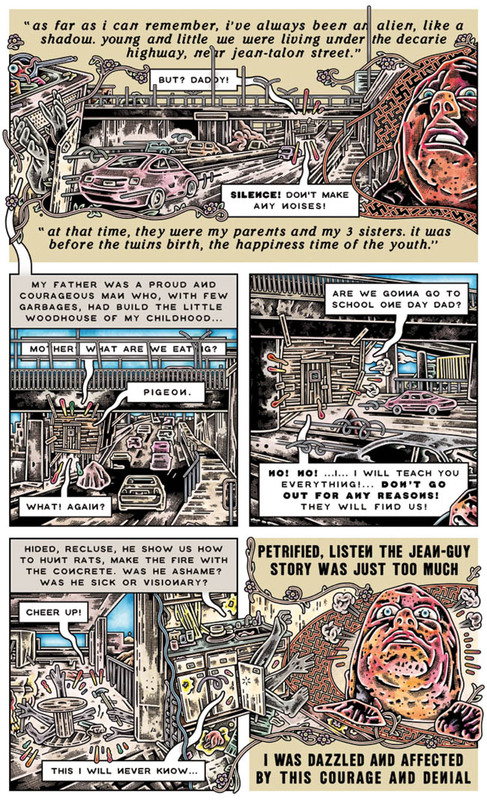 Henriette Valium, aka Patrick Henley, is recognised as one of the most important French-Canadian cartoonists of all time and has been working in the medium since the early ‘80s, building up a body of hugely acclaimed (if scattered) material. If you’re unfamiliar with either his name or his comics, though, you can be forgiven. Until late last year his work had never been published in English; an oversight that has now been thankfully rectified by those great champions of indie excellence, Conundrum Press. 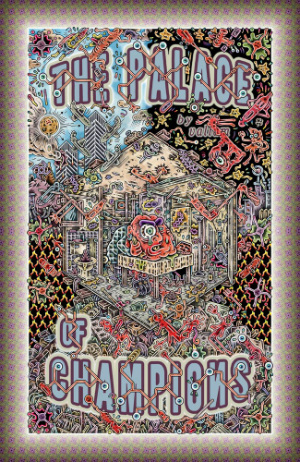 The Palace of Champions is a huge 9×14 inches hardcover collection of Valium’s comics; a size that is essential in order to capture the astonishingly intricate illustrative style of this creator. 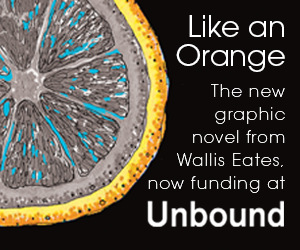 One which will doubtless be quite unlike anything many readers have experienced before. In many ways it would be woefully inadequate to describe Valium’s visual approach as simply containing images the reader can lose themselves in. In fact there are whole worlds within worlds in these pages and narratives within narratives, as events burst out of panels, overlapping or slipping behind text boxes and deliberately obscuring story details. 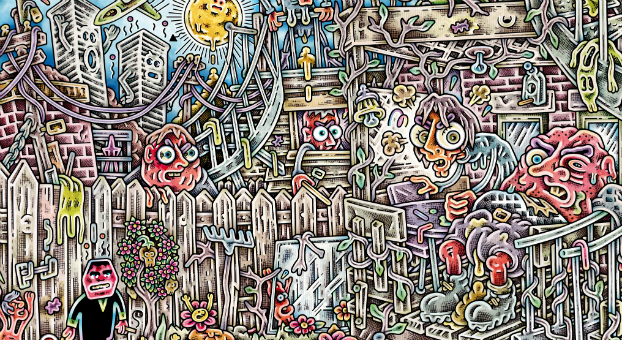 Ironically, and despite its bizarre and fantastical immediate grotesqueness, the work herein is rooted in recognisable reality: confrontations with neighbours, problems with accommodation and issues of creative insecurity all dressed up in a dizzying, whirling and claustrophobic visual language. Compounding that unsettling atmosphere is Valium’s distorted use of English with its own oddly alluring, disjointed, staccato rhythm. It all adds up to a reading experience that asks the reader to interact with the page – to interpret, to translate, to demystify even – in ways quite unlike any comic you may have read before. A terrifying stream of (un)consciousness that nevertheless has its roots in the familiar and the shared. Reality is always lurking within this insanity whether it be in the opening story’s argument over out-of-control dogs that is brought to life in a frenzy of colour, shapes and almost impenetrable labyrinthine imagery, or in the hellish portrayal of renting an apartment that takes on an organic, flowing symbolism to press home this stiflingly oppressive experience. There is something almost paradoxical about the way in which Valium’s comics make sense of the world around us by robbing it of its clarity; by metamorphosing the frustrations of the everyday into hideously Bosch-like metaphors. 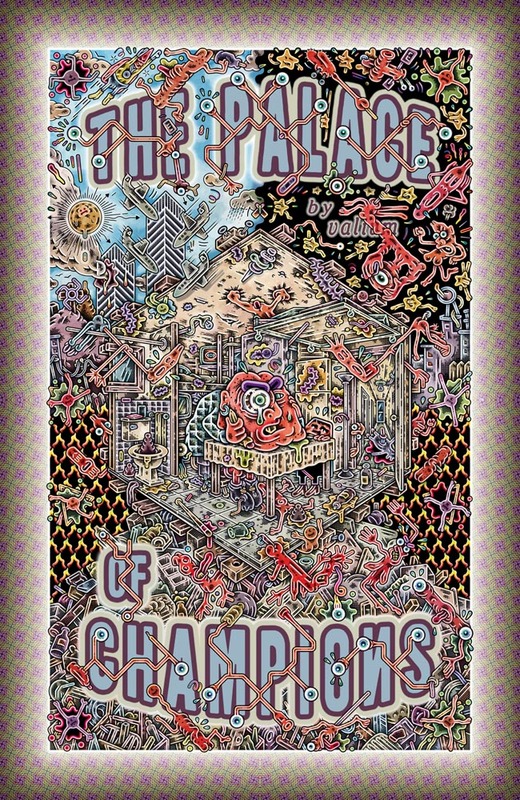 A cynically compelling and utterly immersive reading experience The Palace of Champions is a long overdue compilation of work from this vital figure in Canadian indie comics. Staff Picks for October 19, 2016 – Love & Rockets, Cowboys and Insects, 23 Skidoo, Die Kitty Die! and More!